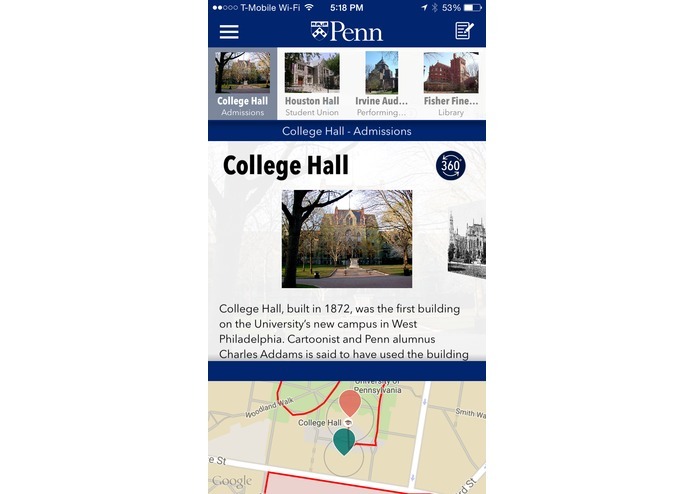 SideGuide is a mobile tour and map app currently focusing on college campuses and their surrounding areas. 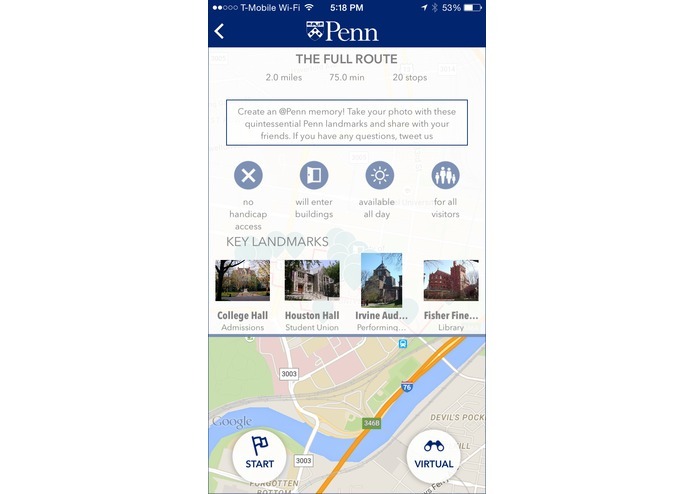 SideGuide allows users to take GPS-enabled physical tours while on-campus or virtual tours anywhere. With SideGuide, users can discover new locations by searching for building or landmark name (e.g. College Hall, The Quadrangle) or important keywords (e.g. "dorms", "performing arts", "admissions" etc. are all searchable terms). 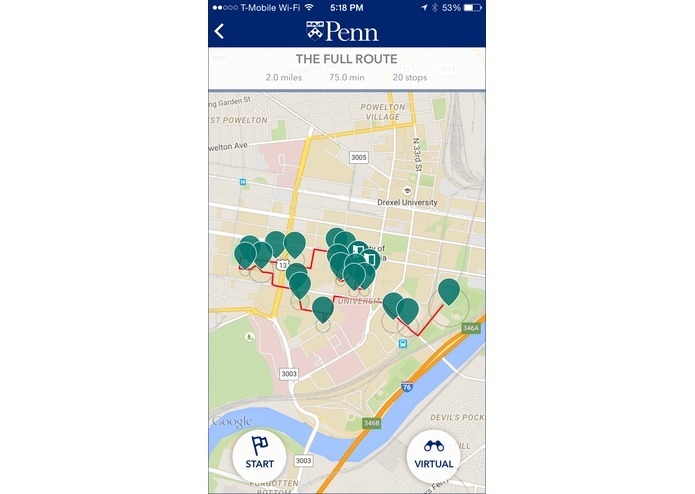 Users can then take on-campus tours with automatic in-depth information and in-app navigation. Tours, though, are not just about landmarks. SideGuide provides "related topics" on the stops that talk more about a specific subject. For example, a related topic at a dorm may be "RA's" or "Residential Life". This way, users can easily see related information that is pertinent to their location, instead of getting inundated with unnecessary information. 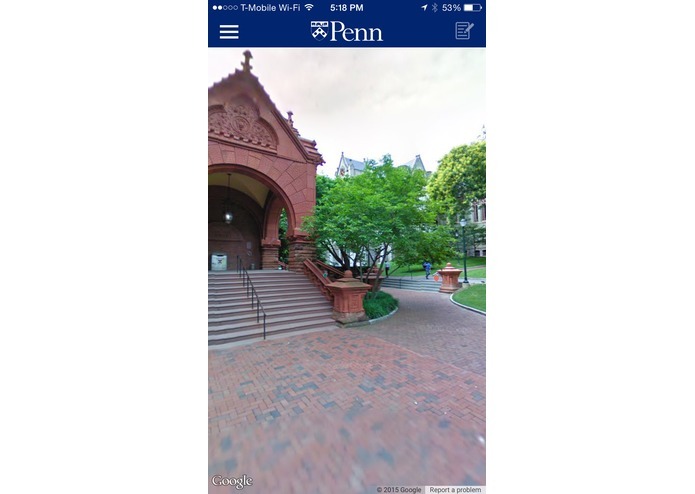 If students can't make it onto campus, all the tour information can be accessed virtually with easy navigation between stops, full 360 panorama images, and the same in-depth content. 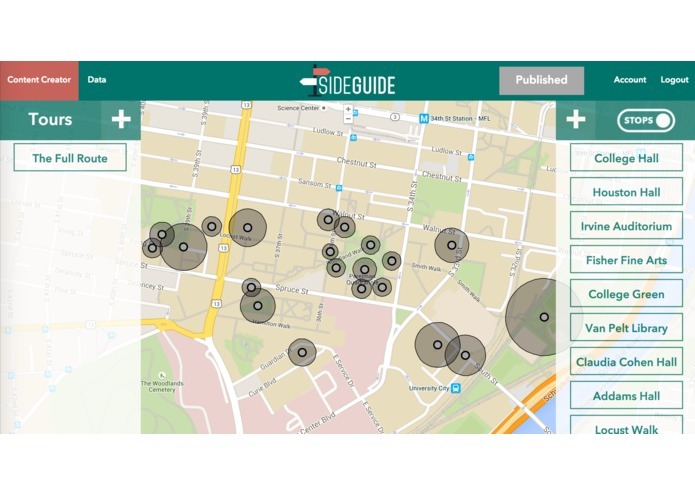 SideGuide's coolest feature though is the patent-pending "Spyglass" technology of building identification. By just pointing your phone at a building and clicking on a button, SideGuide will automatically recognize the building in front of you and give you the name, a picture, and what it is used for. 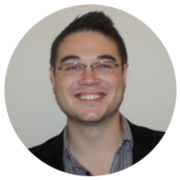 While SideGuide's initial focus is on college campuses, the software is versatile enough to be used in cities, theme parks, national parks, and so much more. The simple online content creation software (see attached screenshot) allows for unlimited creation for any campus or city. Harvard, for example, has 53 locations attached to their tours. Johns Hopkins is building various different tours to satisfy the growing need for varied routes. Visitors data including geographic, demographic, and even psychographic (what is their ideal college data points) information is all anonymously tracked including all tour behavior. Clients can access all of this data and analytics easily online and can see tour heat maps, visitor entry and exit points, what was the most popular stop, popular tour, and so much more.